When it comes to genetically modified (GM) foods, one of the worries around this technology is that if something goes 'wrong,' there could be a disaster if the government, scientists and other relevant authorities for GM foods are not able to trace and identify GM foods in the general public and marketplace. Laws for tracing GM foods vary enormously, depending on which country or laws are examined. For the most part, tracing can only truly be effective if GM foods are sufficiently labelled. The controversy and debate over labelling has made this a very difficult task in many countries around the world. However, it is an important issue that needs to be resolved for GM foods to be better accepted and supported by the public. The public need to know that what they consume is not only safe, but that if any problem should occur, they can be notified and the products can immediately be withdrawn from the market. In the European Union as well as in countries such as Japan and Australia, consumer demand for labelling has been quite consistent and aggressive. Consumers want the ability to choose which foods they purchase, whether those are GM foods or conventional and organic ones. 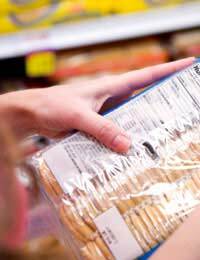 If labelling is adequately performed, tracing should – in theory – be more effective. For this kind of labelling and tracing to work, there has to be a labelling system that allows for GM foods and non-GM, conventional foods to be appropriately separated and identified. This system needs to be in force early on at the growing and production level and must continue right through to the marketing and processing of the food, before a consumer sees the package at the supermarket. To trace GM foods, the Organisation for Economic Co-operation and Development (OECD) did introduce a special identifier for GM foods, which is provided to any GM food after it has been approved for production and marketing. This special and unique identifier is then forwarded at each part of the processing task. It allows scientists and others to identify which foods are GM ones. In Britain and elsewhere in Europe, public opinion of GM foods is overall one of mistrust and doubt as well as outright fear over the risks of GM foods. As such, there is a high level of support for mandatory labelling of all GM foods. Conversely in the United States, the public does not have the same zest for implementing mandatory labelling. This kind of apathy has probably contributed to the comparatively relaxed polices around GM food production and marketing in the United States. For now, however, the government should respect public opinion in Britain by ensuring that GM products are properly labelled and accountable through every stage of the production and sales process. Therefore. should there be any risk or something goes awry, a swift response can help in tracing the GM food, containing that risk and safeguarding public health.